As a part of the National Disabilities Insurance Scheme (NDIS), government funding for disability services is going to the individual. Because of this, organisations that provide health and disability services need to focus more on winning each individual patient over to their service. In other words, marketing effectively to the individual so that they choose your organisation for their disability service requirements. However, in our experience we have found that most organisations are not equipped to make their mark in the digital space. With more and more people connecting online (approximately 87% of Australians are active internet users, according to Statista), Google and other search services are one of the most common ways by which people look for information. This indicates that these organisations’ online websites will often be the first point of contact for these potential clients. As mentioned above, with the vast amount of users who are online, it is more than likely that your website will be the point of first contact. Additionally, with the changing landscape of the internet, more users are preferring to browse through mobile devices, such as smartphones or tablets. If your website is not mobile responsive, visitors may find it difficult to navigate, read and ultimately contact your organisation. To back this up, just over the 2017 holiday period, Australians donated over $18 million, just through the PayPal platform alone (PayPal is a payment processor and gateway). PayPal also found that 51% of Australians prefer to donate online and discovered an increasing trend of donations given via mobile devices like smartphones and tablets. We hope this highlights the critical part the online space is playing for non-profit organisations. In addition to mobile responsiveness, the actual page load speed determines whether a user will even see your website. 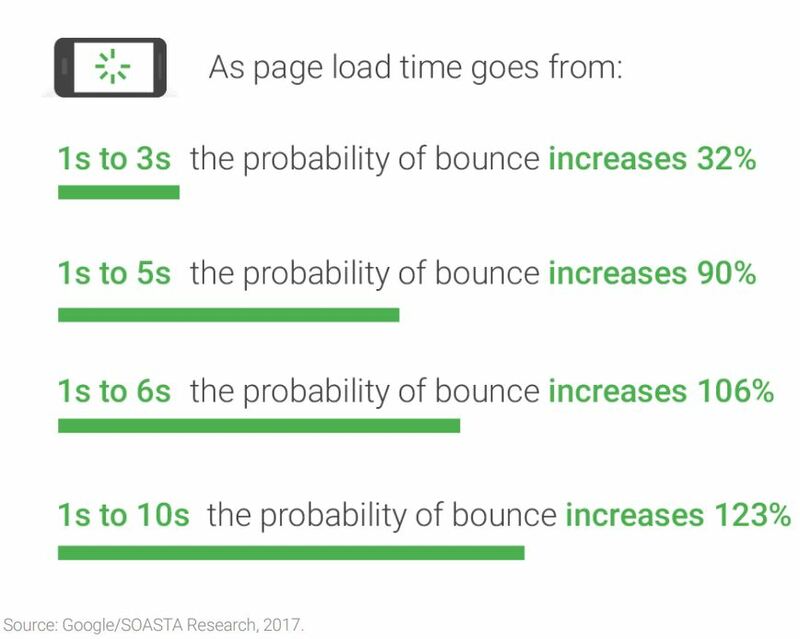 Statistics published by Google shows that most users are not willing to wait for more than 3 seconds for a webpage to load. Page load speed is determined by several factors, such as image size, HTML 5 features, web servers and more. It can be a confusing and difficult process to optimise a website for speed. It is usually much more economical to delegate this work to experts. As more visitors begin to use your website, it is becoming critical to ensure your web security is hacker-proof. But you may wonder, why would a hacker come and personally target my website? The answer is that, it isn’t personal at all. In fact, most website hacks are performed by automated scripts (“bots”) that scour the web for vulnerabilities. You see, your website is simply a collection of different web software, and each has its own potentially vulnerability. These “bots” are programmed by hackers to scour the web for errors or openings they can exploit – this happens most often in websites that are using outdated plugins or software. More often than not, they will not “delete” your website or make it go offline – they would rather profit from it by redirecting your visitors to unscrupulous websites. In one case, a client came to us because his website was hacked – but it was hacked only on the mobile version. So they were going through their day-to-day operations on their desktops, while being completely unaware that visitors on mobile devices were being redirected to pornographic websites. Fortunately, this was reported and the client came to us promptly before more damage could be done. We had seen these types of attacks before and were able to resolve the issue quickly and fix it before more harm could occur. We added this example not to fear-monger, but to highlight the importance of secured software and working with a web hosting provider who is able to respond quickly to online threats. When we were contacted ReImagine.Today, they had an ambitious vision in mind for what they wanted to achieve in the online space. 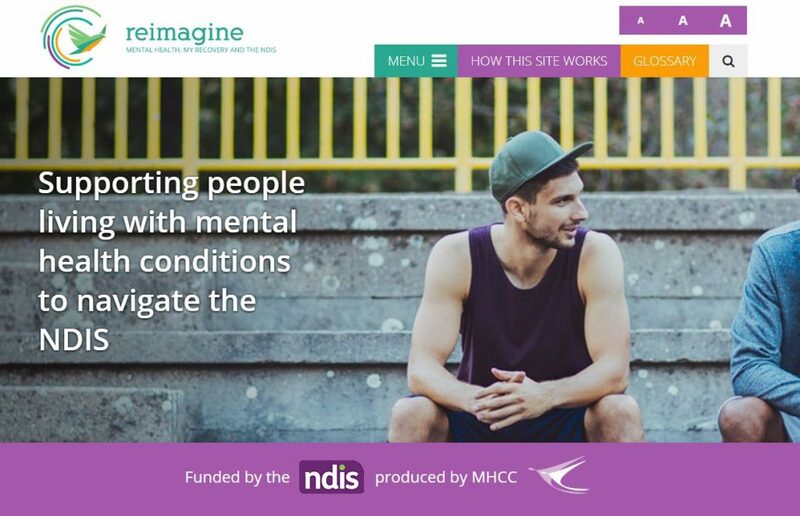 Their goal was to support people living with mental health condition, help them navigate the NDIS and get them the funding they need. 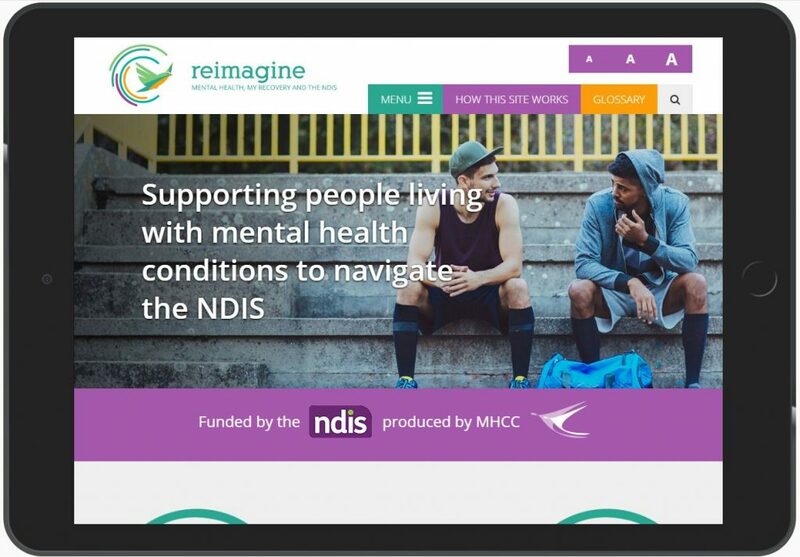 Being an NDIS organisation, they faced the same challenges listed above for building a website that would effectively establish a presence in the digital space. Mobile responsiveness and having a fast page load time was important to ensure their website visitors had a seamless experience. In addition to this, ReImagine.Today needed to implement a learning management system at low cost, due to budget constraints. Luckily, our team at Web 105 were able to research systems that would suit their requirements and still stay within budget. Using our 14 years of experience, we were able to design and develop a website for them that met all of their requirements. So far, we have only heard good things from the operation of their website – a result we are proud of. For us, building websites is more than just padding our bottom line – we work closely with several non-profit organisations, providing both donations and services. For example, Web 105’s director (Chris Bryant) sits on the board for Without A Ribbon, an organisation that supports people with rare cancers. We have also helped develop several websites for various non-profit organisations. Because of this, we understand that we’re doing more than just building a website for your organisation – we are a part of your mission to assist those with disabilities who need support. Our Website Development Methodology is to work closely with you, meet your requirements and also fulfil the needs of the end-user of the website. With us, you can be sure that our experience and competency will produce a website that is both functional and aesthetically pleasing. Additionally, we are capable of handling both smaller projects and also those at a larger scale. We hire only the highest calibre of web developers and invest significantly into our infrastructure so we are able to meet the web hosting and design requirements of our clients. What we do not want, is a short-term, cash focused relationship – we want to develop long-term relationships that create real value for both you and your clients. If you’d like to have a no-obligation chat with us to see if our organisations would be a good fit for one another, please get in touch here.